As Reformation Sunday approaches it is good to recall the work of God in the life of Martin Luther. In 1983, Wheaton College celebrated the quinquicentennial of the birth of Martin Luther with a semester of festivities. Dubbed Lutherfest, it included an Lutheran worship service in Edman Chapel with local Lutherans as well as an organ recital featuring Professor Warren Schmidt of Wartburg College. The pinnacle of the Lutherfest was an academic conference from September 19-21 that featured international scholars speaking on topics relating to Luther and Lutheranism. The centerpiece of the conference was the renowned Reformation historian Heiko A. Oberman (1930-2001), who gave three plenary addresses during the conference. One of the greatest intellectual historians of the twentieth century, Oberman revolutionized Reformation studies by urging for interpretation of the Reformation especially in its late medieval context. 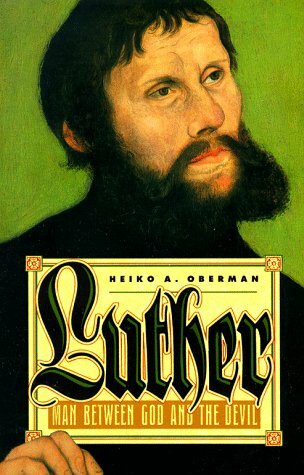 In 1982, he published what has become a classic of Luther studies: Luther: Mensch zwischen Gott und Teufel, published in English in 1989 as Luther: man between God and the devil. To commemorate Reformation Day, we’ve provided MP3 audio for all three of Oberman’s plenary talks.